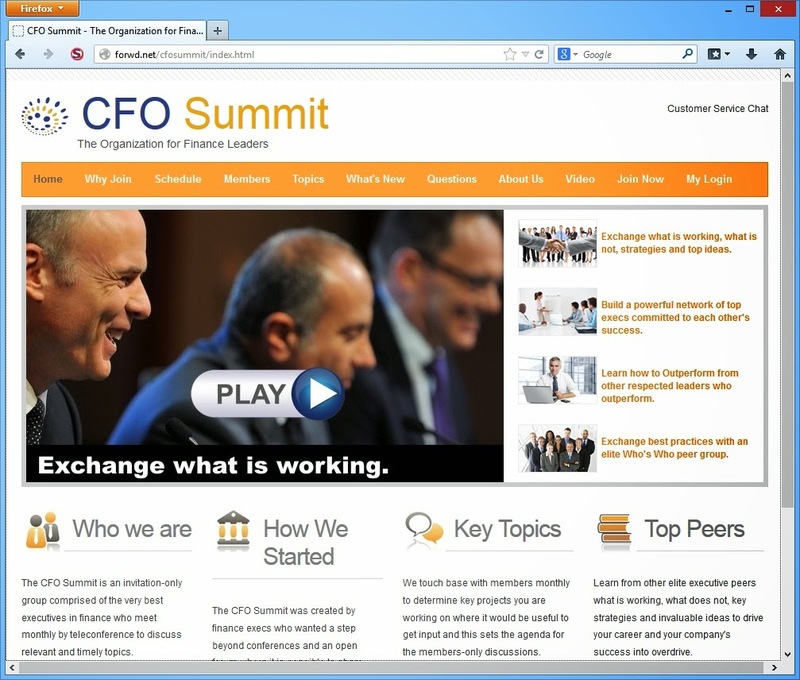 Dynamoo's Blog: Naughty, naughty: BizSummits, CFO Summit, CIO Summit, CMO Summit rip off photos from other sites. 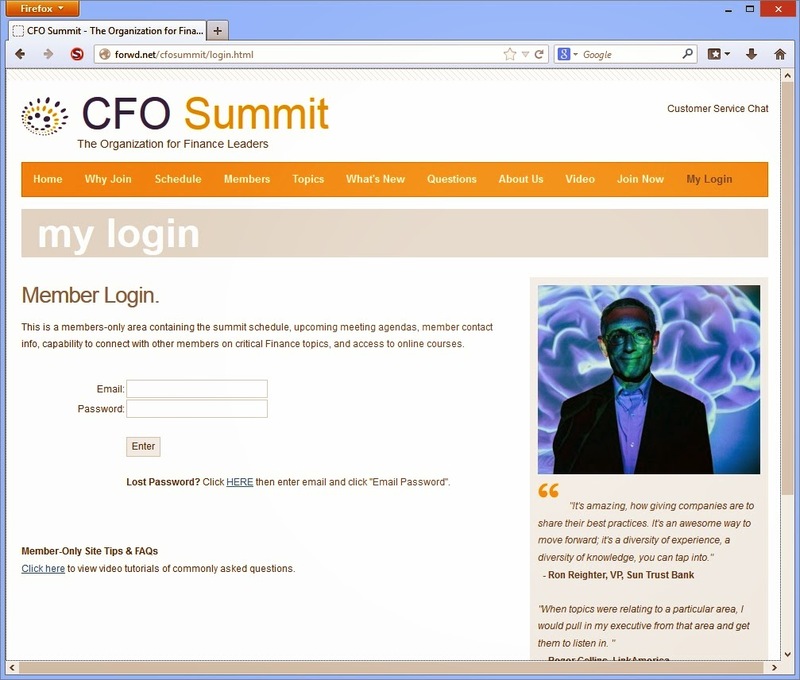 Naughty, naughty: BizSummits, CFO Summit, CIO Summit, CMO Summit rip off photos from other sites. I've been tracking the spammy activity of BizSummits on and off for a while, most recently with a very annoying spam run that has been plaguing website operators with fake notifications. I'd never really looked that deeply into the BizSummits operation though, but even though it promotes itself through spam I had assumed that there was a real business at the end of it. But when I started to look into their websites, it quickly became apparent that a great deal of the material was faked. 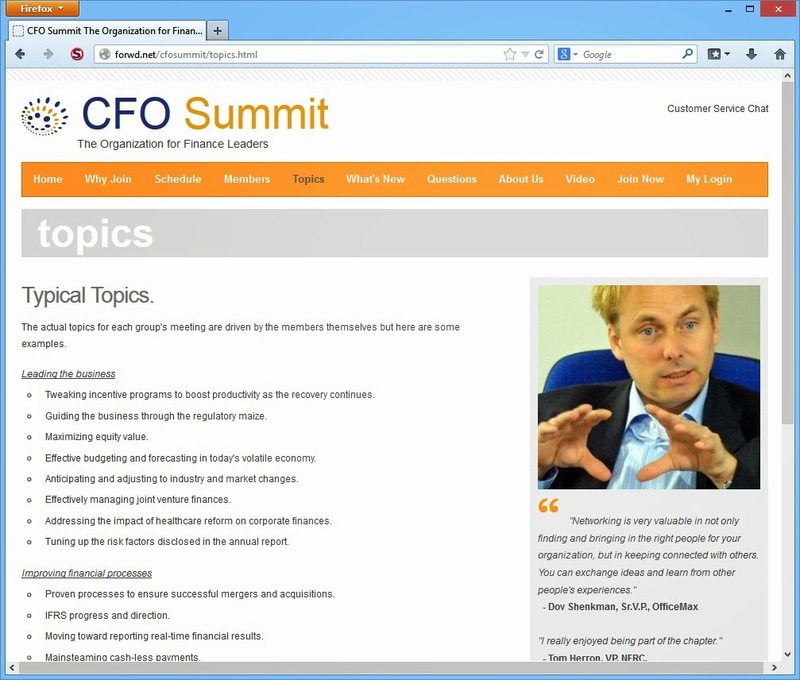 Most of the sites use the same material, so let's start with forwd.net/cfosummit/about.html which is an "About Us" page. 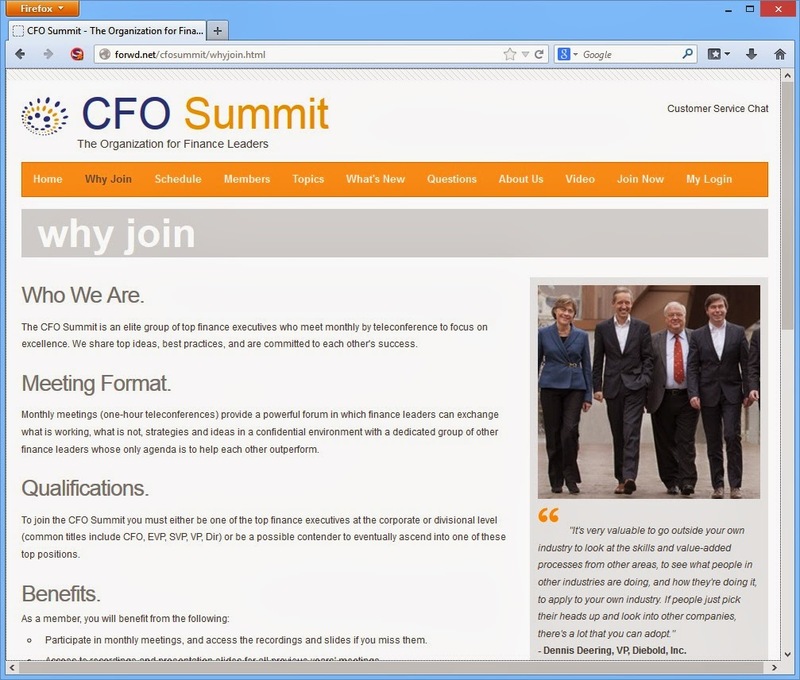 It features a photo of a group of people.. you'd assume that it was one of the "Summits" that BizSummits promotes. After all, if you have all these people meeting up all the time then surely it would be easy to snap a photo. It turns out that the picture is stolen from the blog of the US Ambassador to Iceland and it shows a group of Icelandic executives meeting with an organisation called the Young Presidents' Organization which is completely unrelated to BizSummits. So let's look at the "Why Join" page at forwd.net/cfosummit/whyjoin.html which features a bunch of happy-looking individuals. 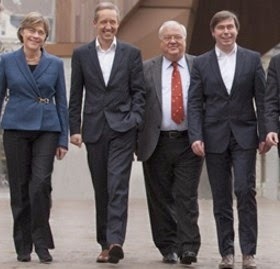 This image is stolen from a company called Deceuninck nv. And it isn't just a generic stock photo, their website lists everyone in the photograph and identifies them as being employees. It shows a photograph of someone who is presumably speaking at one of these Summit events. Errr... no. 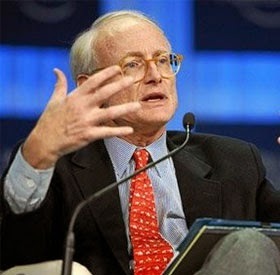 This is Professor Michael Porter speaking at the World Economic Forum. Professor Porter would be a highly influential and important person to have on board. But his name doesn't appear on the list of "Members & Speakers". 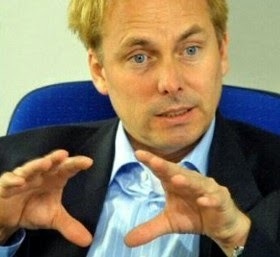 That's a publicity photo of Niels Stolberg. Stolberg's company collapsed and is the focus of fraud investigations. Given the controversy surrounding Mr Stolberg, would it be appropriate to have a picture of him on your site? Odder still, Mr Stolberg seems to have no connection at all to BizSummits. Now we turn our attention to the "What's New" page. Who are the people having a discussion? People at a BizSummits seminar? 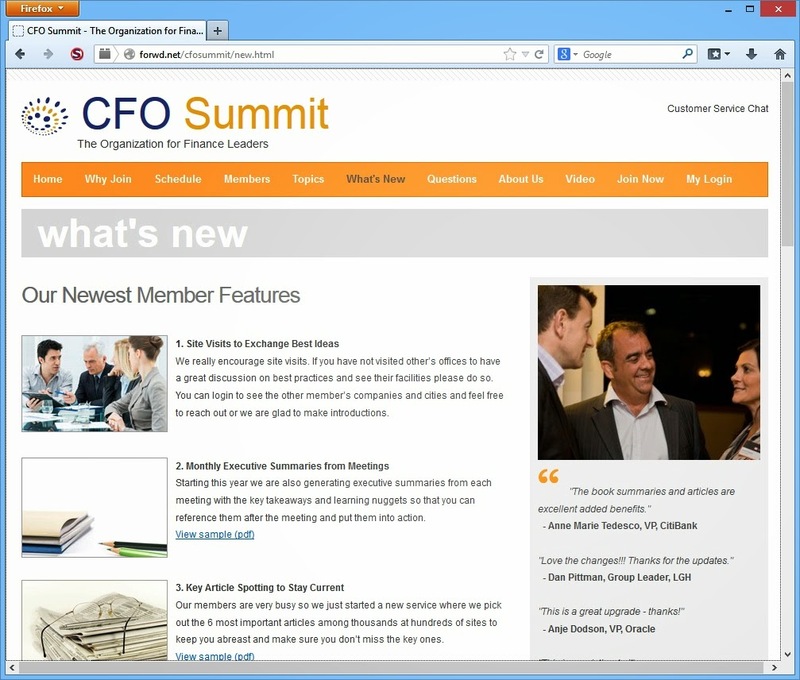 This image can be found on the page of the NG Utilities Summit in Australia (open the lightbox). If you look carefully, you can see the NG Utilities logo on the woman's badge on the right. Despite having "Summit" in the name, this is nothing at all to do with BizSummits. If BizSummits really held any meetings then a photo like this would be trivial to take. The next page is "Questions" at forwd.net/cfosummit/questions.html. Well.. we have a few already. 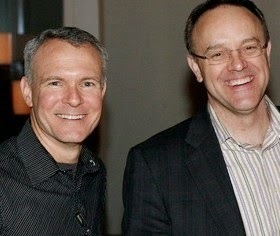 These are a couple of executives from WebTrends. As far as I can tell they have nothing to do with BizSummits, and the photo has just been stolen. Why was I Invited to Join? The evidence I have provided about this firm shows that they simply scraped your name from your company website and guessed your email address. Is that research? I don't think so. 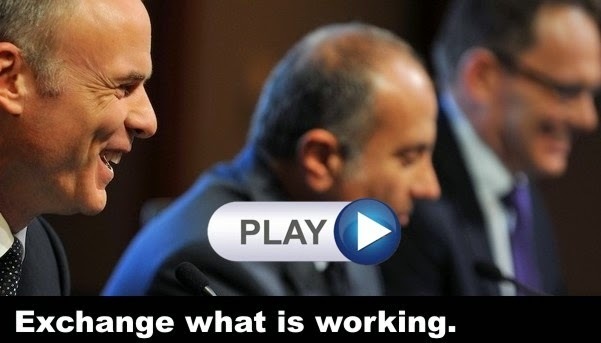 You probably already guessed that the guy in the photo has nothing to do with BizSummits. 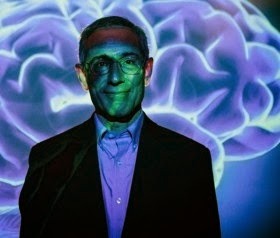 That's because this is Dr. Thomas R. Insel who again has nothing to do with BizSummits. Finally, we come back to the home page. 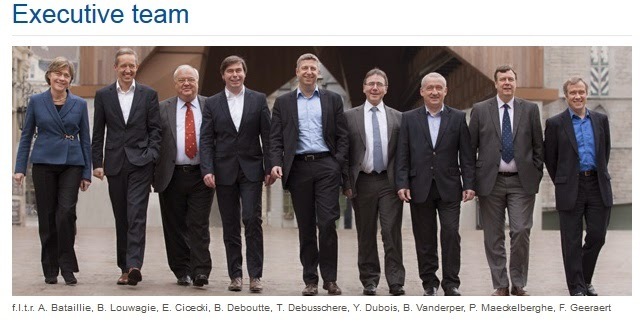 These are apparently the senior management of BHP taken in an AAP photo. What do they have to do with BizSummits? It seems nothing at all. The video is meant to be an endorsement. But who is this woman? Who does she represent? What exactly is she endorsing? The video is professional looking but deliberately vague. This copied material doesn't just exist on a few websites, it exists on a LOT of cookie-cutter sites, all presumably marketed through the same spammy approach. Ask yourself this question.. why is it that a company such as BizSummits, that is supposed to organise all of these meetings, cannot get around to taking any photographs of those meetings themselves? Surely it wouldn't be difficult to do? And yet almost every image is copied from somewhere else. What kind of company does that? Is it one that you feel comfortable doing business with? Thanks, Conrad. Good analysis! The response, supposedly from Michael Price, is less than reassuring. 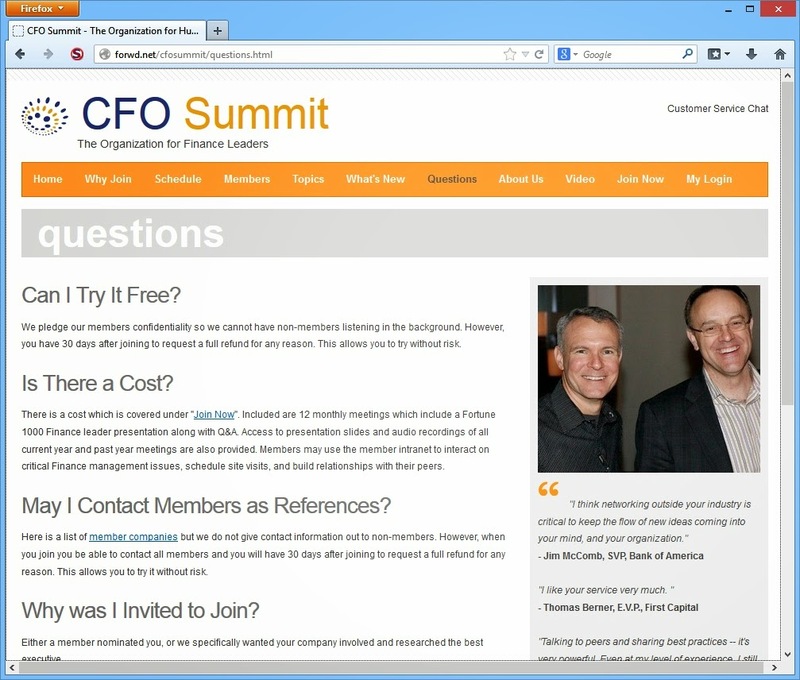 Thank you for sharing this info on the fake CFO Summit...it saved me from a $50K mistake! Cheers! Hi Conrad, we just received an autonotice about the comment from Claire Le and were again hoping you would consider archiving/mothballing it because readers see the misleading title which is why the commenter incorrectly surmised BizSummits is a fake after reading it. I think you know it is not, we are glad to immediately make you a member of one of the groups if wished so you can login and watch/listen to hundreds of past meetings (impossible if it were really a fake), and we are also glad to cover your airfare from the UK if you wish to attend any of the in-person events (next on the schedule is the HartfordSummit.com in a few weeks and then a series in Chicago in April including a CIO roundtable you might have interest in attending). Thank you for your consideration. Fake, we showed up for a conference that doesnt exist. The hotel didnt know anything about it and was wondering why their property is being advertised in the materials. Michael Price and Bizusmmits continue with their scams. the whole organization is a fake and now he is advertising tech summit events that don't exist. He has events scheduled up and down the west coast and is actively selling sponsorships and the events will not take place. this guy needs to be stopped and quickly. I've never seen any evidence that these summits either exist or don't exist in a physical sense. I believe that there have been virtual summits though. As for the sponsors.. well, what exactly is a sponsor? I think that term might be open to interpretation. I've asked the hotel to confirm if the summit is indeed running at the hotel in SF. Conrad - I called the Marriott in San Diego, they never heard of Bizsummits and there is no tech showcase going on there either. Conrad - I work for a small tech company in San Diego. I head up the marketing lead generation efforts. I recently got an email from a "shelly Fitgerald" asking me if i would like "a table" to present at the San Diego Tech Summit. I had never heard of Bizsummits so i did some research and it brought me to your blog. I went so far as to call the hotel in San Diego that the event was suppose to take place, the Marriott Marquis. The hotel had never heard of them. There is no event there on the 8th. I have emailed Shelly and called her numerous times for an explanation and never have heard back. I'm not sure what their end game here is, hard to imagine keeping and money from exhibitors if an event does not take place. but one thing is for sure, there is no tech summit in San Diego next week. Hi Conrad, this is Kristin with BizSummits customer service again. I was just notified of these new postings and looked into it. A reminder to any reader that the temporary placeholder photos you blogged about above were corrected within days by our marketing director last year. - Jacksonville Tech Summit, Wyndham Riverwalk Hotel, Gigi Kosalko, 904-421-4481. - Miami Tech Summit (miamisummit.org) Hilton Miami Downtown, Jenifer Caison, 305-374-0000. - Gold Coast Summit (goldcoastsummit.com), Boca Raton Marriott at Boca Center, Chesley Barker, 561-620-3718. - Atlanta Tech Summit (atlantatechsummit.com), W Atlanta, Christopher Eatmon, 404.733.6968. 2. Example Recent TechSummits Exhibitors. - Quantum, Nashville Tech Summit, Courtney Frazer, 720-504-5499. - Unitiv, Atlanta Tech Summit, Jenny Winkler, 678 455-9445. - Pulse Secure, Atlanta Tech Summit, Craig Sirois, 214-405-2335. - ITPointe, an Altek Company, Gold Coast Summit, Audrey Levi, 786-249-0195. Since he tried to take over our events on the very same dates we are rescheduling some including San Francisco (reschedule date should be posted in a few days). If you could share the IP address of the two postings above that would be very useful should we pursue legal court action to stop the illegal defamation and misappropriation of our IP assets. The posting times also coincide with crank calls our TechSummits leader had at the same time with just weird laughing on her voicemail (scary situation). Any reader is welcome to contact me or the other staff on our team. Thanks so much. P.S. The defamatory "Mr. Bowen" posting above is likely the terminated employee (new profile just created with 1 view which was mine). Are you saying that sandiegotechsummit.com and bayareatechsummit.com are not yours then? The SF Marriott Marquis says here: "Unfortunately, we do not see a record of this event, Conrad. You may want to reach out to the event coordinator for info." Hi Conrad, due to the confusion on locations on the same dates by the former employee the San Francisco event had to be rescheduled to September 17th at the JW Marriott since the Marriott Marquis could not accommodate that date (hotel contact is Flavia Oliveria at 415-229-9461 if you feel a need to verify). Several other dates had to be moved in order to provide time to contact the registrants and exhibitors to brief them on what happened (posted on TechSummits.org). Incidentally your blog is likely being used by the former employee, on the posts above note that "Mr. Bowen" is a brand new registrant with no other activity (likely the past employee), "Corbs" is a also a brand new registrant who has only blogged here (likely the past employee), and Jan S (Jan Stordahl of Minnesota) is unlikely to have flown or driven 1,000+ miles to a half-day event (we are investigating her tie to the former employee). One of our employees over these TechSummit series is very concerned about her personal safety after receiving crank calls at times similar to the postings above, it is a scary situation. In any case, you now have 9 independent persons/companies who can confirm that we have held these events above so there should be no doubt. Thanks. You may have been contacted by a representative of Tech Summits and I wanted to clear up any confusion that is being created. As founder of the Tech Summits concept, I partnered with Michael Price of Bizsummits to do my event marketing in January 2015. Shortly after, It was brought to my attention by one of my sponsoring companies that Mr. Price and his various organizations could be considered spammers. After doing my own research into the background, I decided I could no longer continue with the partnership. I knew I had to re-launch and rebrand the company and had no choice but to distance myself so as to not further impact my events and my reputation, one which I have built over 20 years working with IT Industry leading manufacturers and their partners. I apologize for any confusion this may have caused you and for the inconvenience of being contacted and given misinformation. If you have any questions please contact me directly. Thanks and we look forward to continuing to work with you. I'm sure a few people got burned. the pictures on this site are a fraud and all the quotes..the same game per usual for MR Price. We are so sorry everyone has to endure these posts by Healy. For the record, he has self-identified himself in this blog, we did not identify him. Healy was terminated on May 26th of this year after an internal investigation and is no longer associated with us in any way. 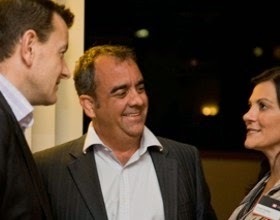 As to Healy's allegations, we have offered the host of this blog Conrad (and for that matter any reader of this blog) recordings of any particular online event by contacting me directly at Service@BizSummits.org. We can also provide over 60 testimonials from recent attendees of our TechSummit events that I think Healy is referring to by contacting me, both of which would be impossible if Healy's allegations were truthful. Again we apologize for Healy's belligerent posts, we wish to distance ourselves from any former relationship with him, and hope he will focus on others in the near future as it is somewhat frightening. Thank you all for your understanding. Kristin i was never an employee. never.... and Michael Price did not end the relationship, I did. I ended it after finding out the way he runs his business. He is a con man. per usual you dodge the point. 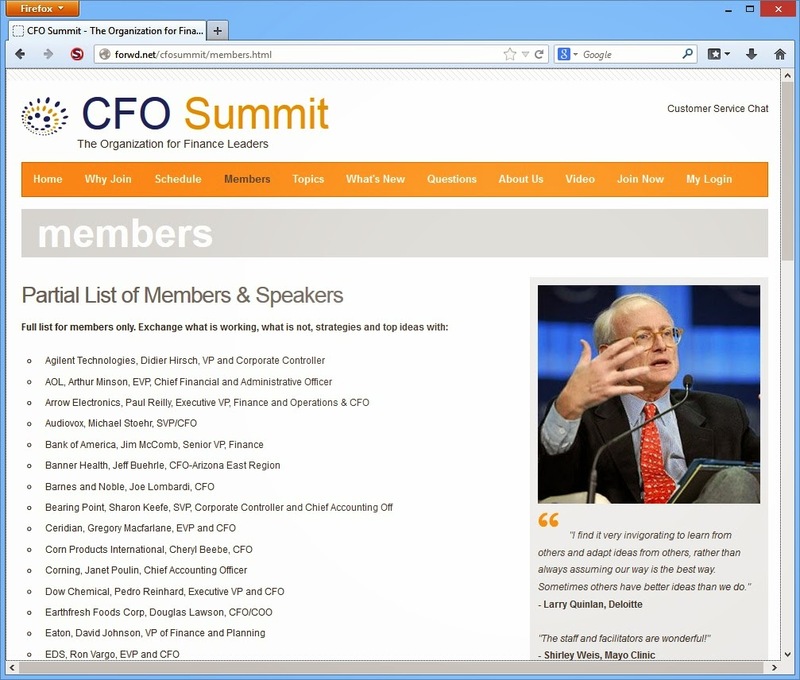 Did one of the CIO events that are listed on execsummits ever take place? NO they did not. 12 face-to-face events are listed at various hotels for June and not ONE took place. I called the hotels to check. not one. you are part of a fraud. Again for the record Healy self-identified himself above and then solicited a defensive response with his defamatory post, we certainly did not publicly identify him. To Mike Healy, your assertions above just don't agree with our HR records which show that you were terminated on May 26, 2015 for cause and the matter was turned over to the authorities. The FBI has authorized us to publicly state that they are looking into the matter. Your posting about our June events above seems disingenuous because you were aware the staff person planning them had to pick up your duties when you were terminated which led to the postponement of those June events that needed more registration work. Every person who registered for her planned June events was either not charged to begin with or refunded in full within days of registration without exception so your assertion that refunds are still owed to them is false. It seems you are highly disgruntled and angry but can we please take any further discussions regarding HR matters etc off this blog and just contact me or the relevant person directly? For any outside readers we ask that you not conclude Healy did anything illegal at this point and to presume Healy is innocent of any criminal act unless formally charged and proven guilty in a court of law. Again if any outsiders are reading this blog, Mike Healy self-identified himself (we did not identify him) and he elicited a corrective reply with his defamatory comments. Mike Healy, our HR records indicate you were an employee despite your claims otherwise and anyone who wishes may contact me for a copy of your employment agreement on file bearing your signature. As to your defamatory comments about our June in-person events, you are well aware that Shelly had to take over your duties when you were terminated on May 26, 2015 after an internal investigation and as a result the June events she was planning had to be postponed as they needed more registration work. Your claim that some registrants were not refunded is not true -- anyone who had registered either was never charged or refunded within days of registration without exception. I realize you are very disgruntled but let us take these HR matters off the public blogs, contact me or your former supervisors if you have any further comments about your discharge or related matters. Kristin your HR records are wrong. I was never an employee and if you produce any kind of record as such it is a forgery and a lie. I was paid as a subcontractor based on paid sponsorships commission only. There is a distinction here Kristin and one that is recognized by state and local as well as at the federal level. If i was an employee Michael Price owes taxes on my behalf...you might want to double check with him on this, i'm sure he will clear this up for you. Fact. Michael Price offered me a job, sent me a signed offer letter, i declined. We worked together to "test" things out with a verbal agreement only and me as a 1099 contractor. After finding out the way he does business I chose to "opt out." something that Michael Price does not obviously understand. Kristin - FACT. I was never terminated. Of course an email went out to me saying i was, but i had already told Mr. Price that our relationship was over. There is a difference and remember now, you cannot "terminate" someone who never worked for you. again distinction to be made here. The department of unemployment can clear this up for you. Kristin, The events that you point out above in your post on June 5th with all the references to contact?? Those were all events that i sold produced and hosted. In fact Michael Price only went to Hartford and Atlanta as an attendee. Shelly Fitgerald, who was my assistant, and is now running tech summit events, never went to one of them. NOT one. She was suppose to go to Nashville, near where she lived, but "her truck broke". BTW Shelly Fitgerald knew i was ending my relationship with Michael Price and wanted me to hire her. She wanted to sell sponsorships. She referred to the events she was doing in June, the one day workshops that were all canceled , as "a disaster" and that without my events that she was "on board the titanic." and worried about her job. Bizsummits, techsummits, all the various URL's and websites are a total sham...your total scam artists and everyone knows it. Conrad, its me mike healy again.... self identifying..yet again. Not everyone has been refunded for cancelled Bizsummits/techsummit events. This came to me yesterday. They are owed 2500 dollars and the list goes on. That is what I thought. Did you get your money back for Chicago? Our relationship with Tony Cannizzo is just fine thank you. If anyone questions this you may call him directly at +1-404-580-3451. Thanks for the call today. As you can see from this email - the last contact I had with Shelley was in June. . The refund is to be $4000." Mathias, Look forward to hearing when they have been squared away too. Keep up the good work! Mathias ... Here is another one for your cancelled event in Little Rock. I assured him you would see to the refund immediately. My accounting department is telling me they are not seeing a credit on our AMEX for this. Can you check on that? Mathias - Please contact your supervisor and have them contact Tegile Systems about the refund due them for "cancelled" events. It would appear that Shelley is not responding and the 4k they are owed is still outstanding. I received some feedback from one of my team members in the South East that Tegile is waiting for a refund on some Tech Summit events that we had paid to sponsor and were cancelled. Are you aware of this issue and can you help us determine what the status is of the refund. I have cc’d the events team to provide additional details. I did not. I've been consumed with a mother in the hospital and a daughter that got married last Saturday. Just now catching up. I will be in the office on Thursday. My cell phone is.......... That is the best way to catch me live. I appreciate your help. You ever get your money back? I appreciate the info that was up here, and a couple other sites. Maybe this group of con artists should have stuck to safer waters. It appears to be hubris for them to attempt to pitch the scam to IT professionals. How else could they figure they wouldn't get caught? What tells me it's a scam? Well, I was suspicious of an email to a wrong name and unassigned email address in the catchall. Written as a "follow-up", to which no original had been sent, it advertised this "Chicago Tech Summit". Basic internet search didn't find a page 1 result. The hotel was listed as the point of contact - and they knew little about it. Theemail source listed a "shelly-mac" as the device, signed by the above mentioned Shelly Fitzgerald. 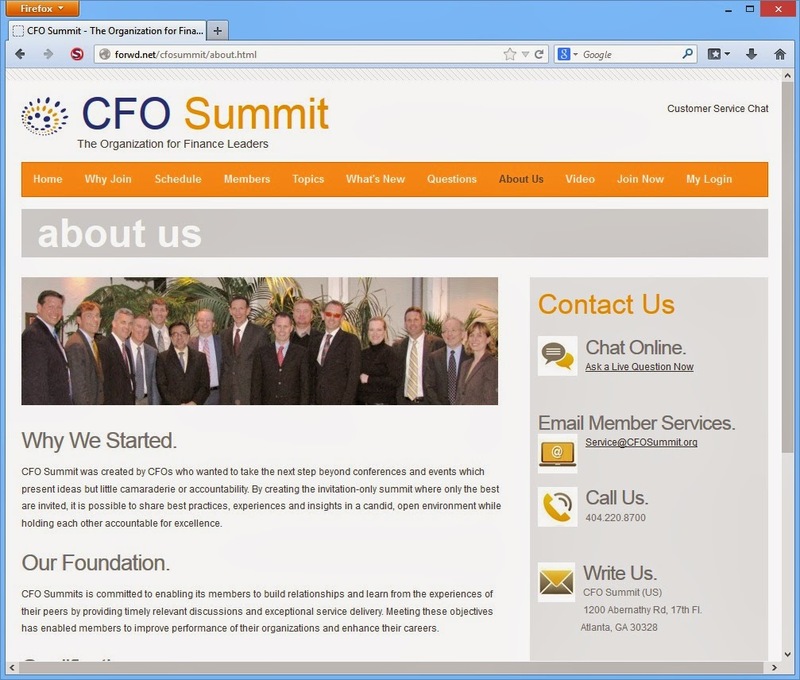 The source IP was for a "columbussummit.com" (66.118.163.227), mentioning the "chicago-summit.com" (69.94.129.202). Both domains registered in June with privacy over whois info. Finding the "sponsoring company" was not forthcoming, but whois information, including Ms Fitzgerald, with a valid phone number was obtained through techsummits.org. What else tells me this is a scam? Well, aside from the email body, there is the "confidentiality notice" in the signature, which lists contact information as a Thomas [Redacted] with an address in Kankakee, IL. A basic public records search shows that two men with that name are known in the US - one in Michigan, one in Indiana, both "senior citizens", and neither having anything to do with the private residence wrongfully used as a contact point. How about the website? It looks like their script kiddie ... err "webmaster" hasn't learned how to build a credible site yet. They're still using stolen photographs from other sites. The domains have only been around since 2015 (some only two months), yet they have a list of "past presenters". Funny that many of those in the list have nothing to do with "tech", and seem to be in alphabetical order through Chiquita Brands. There's also the "logo-collage", and a very generic timetable of events. It's amusing that "security" is an issue alleged to be discussed during the summit, yet their signup and payment page is non-secure. It's also amusing that for such busy executives running so many big "summits", that they have time to personally spar with bloggers. Hi Jake, thanks for the feedback (very good input) and we hope to make improvements from it. You are still very welcome to attend the event and that way you could determine if it is worthwhile or not instead of opining that it is not without having attended. We hope to see you there and thanks again. So, what confidence is this supposed to instill? Does this mean that they're going to spend money on a digital camera, and take pictures of an actual event (if one happens), instead of using other people's photos? Does this mean they'll hire a webmaster who does more than copy & paste company names? Does this mean that they'll use their actual contact information, instead of giving other people's name and address as "contact information" in their wrongly addressed scam... err "advertising"? The timetable doesn't "pop" for me either. Between looking like an attempt to shoehorn so much into so little, the detailed timetable looks like it was an attempt to throw a lot of terminology, with little substance. The amount breadth intended for each half-hour provides little expectation of more than a surface mentioning. Considering that actual seminars are conducted on aspects of these topics, it would make sense that these sessions would be minimal for time constraints. Considering presentations I've made on security and malware, alone, I'm not sure the benefit of the short-short version to a professional. I think it's safe to say I can opine without attending, from a professional standpoint, and be either dead-on, or in the ballpark. My professional opinion is that this is somewhere between "scam" and "waste of time and money". What screams of scam? Addressed to a wrong name, addressed to an unallocated address, written as if there was a pre-existing relationship or communication, uses fake contact information, hides actual contact information, has a poor looking website - on a recently registered domain, refers to "past events" which are not verifiable, lifts photographs from elsewhere on the internet - instead of taking them from "actual events", lists irrelevant "sponsors", etc. Frankly, there's nothing here which fosters any confidence that this would be worth the costs - real and opportunity - of traveling to one of these "summits". Based on presentations which I have made on some of the topics, I have great doubts that much worthwhile will be touched on in a series of vaguely worded half-hour sessions. Our last few conferences this month have been very successful with great attendance. We now have even more favorable reviews from those who have attended and our BBB rating remains an A+. We believe that all 3 exhibitors during the transitionary period from the past worker commenting above to new staff have been successfully rescheduled or taken care of except for Tommy Bacon where we have left both voicemails and emails into him (hope to resolve that shortly). If for any reason that is not the case or there is any other exception they may contact me or Shelly over our Tech Summits division directly for prompt attention. Thanks all. Cyber security incidents are increasing in both scope and scale every day. Our defensive mechanisms have been outpaced by the scope and scale of malicious cyber activities. Cybercriminals are agile and, as long as organizations predictably follow best practice in their security strategies, cybercriminals will remain a step ahead. “Cyber security incidents are increasing in both scope and scale every day. Our defensive mechanisms have been outpaced by the scope and scale of malicious cyber activities and, as a result, this issue now sits as one of the most important emerging security challenges facing our countries today”, says Melissa Hathaway, Council of Experts, Global Cyber Security Centre (GCSEC), Rome, Italy. This was copied word-for-word from an IDC white paper... In fact, the clipping for the "session synopsis" fails to either hide their plagiarism - or trim it to a complete sentence or thought. Received an "response" email from this company regarding the CMO Summit. Never saw the first email/no timestamp on the original message. Hi Josh, we are definitely legit, there are a ton speakers listed on our site, and I am glad to send you meeting summaries or recordings of any particular speaker if wished which would be impossible to do if we were not. There were some recent postings on the blog above by a person who used to plan some of our events (in both his and alias names) but it was worked out. If any questions just call me at 404-220-8700. - Kristin Johnston, Director of Customer Service. I stumbled across this blog after attending one of the recent tech summits. It wasn't even close to what the agenda said on the Website. In a nutshell, they definitely hold events, but in my personal opinion, even for a free event to listen to a bunch of sales pitches, it wasn't worth my time. They essentially get a bunch of decision makers from companies in a room, then charge sponsors to come sell products. If you pop into the different tech summit Websites, they all look the same, have the same content, and have the same contact (Shelley). You can Google around and form your own opinion, but if it tells you anything, I was a bit skeptical about what kind of event I really attended. That's how I stumbled across blogs like this. We are always striving to bring the best to our guests at the Tech Summits, so thank you for your feedback. We encourage our presenters to discuss best practices/recent initiatives in the field, but once they get on the stage, the mic is theirs. We will work better with the companies going forward to ensure content is delivered and that there is less focus on what might be considered by some as self-promotion or a sales pitch. Hi Conrad, could we kindly ask you to archive the "It's a Fake!..." blog post or at the very least edit out the defamatory "It's a Fake" words in the title which is highly misleading and libelous? We have offered you definitive proof in our 4/10/2014, 1/21/2015, and 6/5/2015 replies. You can also pick out any past speaker or meeting date on any of our sites and we can provide you with both the recording of the meeting and the pdf summary of the meeting and even the speaker's contact info if you wish to independently verify which would be impossible to do if "It's a Fake" as you wrote. A majority of the negative postings on your blog were from a terminated employee/contractor who launched a competing company while we were paying him then used fictitious profiles created the day of each posting in other's names to appear as if multiple people were complaining. We addressed the unlicensed photos issue within days of your original posting and confirmed back to you at that time (taking corrective action based on your feedback). When executives research us before joining they come across your blog title "It's a Fake" and then opt not to join that group which causes our group serious economic harm (some of our group members are in the UK) and deprives those who elect not to join of some really good speakers and ideas. We have provided you with absolute proof that your blog title "It's a Fake" is untrue, libelous, and violates the UK Defamation Act of 2013. You definitely made your point about the unlicensed photos oversight and we corrected it in days. Thank you very much for your kind consideration. Wow, definitely a waste of time and miss representation of what it truly is. Being personally invited to a summit full of some of the Top Leaders in the industry. Common really! They're still kicking in 2017! I just got an extremely suspicious email from a "Shelly Fitzgerald of Houston Tech Summit, as a reminder ... but the fake original email is just the body of this email made to look like it was a response. I did a quick search and found this blog post. Thanks for the heads up! Hello to all who've left these last few comments - I am director of services in this company and I can assure you this is a legitimate company. I'm sorry that you feel this way, but this is the truth. Thank you for your feedback! Thank you for your feedback but you are very wrong in your assumptions. We are rated A+ with the BBB and can provide ample information to you if you choose to assume otherwise. If you'll notice in the comments - we do hold actual events and all of our emails are legitimate. Scamming people is not what's going on here. If there's any information you'd like on how to attend a seminar or a web conference, please let me know. As we are a legitimate company, these resources would be available to you, unlike a "fake" company would. Thanks again for your feedback! Hi Cindy, some time ago you had inquired about speaking or having a tabletop at the yearly Milwaukee Tech Summit. I think we may have an open slot in 2018. The Milwaukee CIOs and IT managers would appreciate an update from Elevated Services. May I send the 2018 sponsor kit for your review? WHEN ARE YOU GOING TO REMOVE ME FROM YOUR LIST???????????????????????????????????????????? In our email exchange on 7/18/16, I politely explained that we climb cell phone towers and that we have nothing to do with IT. I have visited your website, and I did not see a single vendor on the list of vendors that would possibly benefit us or give just cause to travel three states away to visit. But please do forward me a list of the CIOs, IT Directors, and IT Managers in Milwaukee who would really like to hear an update from us. I'd love to know exactly what kind of update they would like to hear because I can't for the life of me imagine that they have ever heard of us, much less have an idea of what we do in order to need to be updated about it. Honestly, this email is written in such a way that it has no hope of engaging me. My takeaway? "Hi- it's me again. I know you said last year that you weren't an IT company, but I've done absolutely no homework since then to find out what kind of company you are or what services you provide. I'm just trying to sell space at my conference, which I know has nothing to do with your industry."